It’s been a little while for me since writing a movie related blog post (or any type of blog post for that matter!) but seeing the trailer for Transformers: Age of Extinction has got me just a little bit excited! 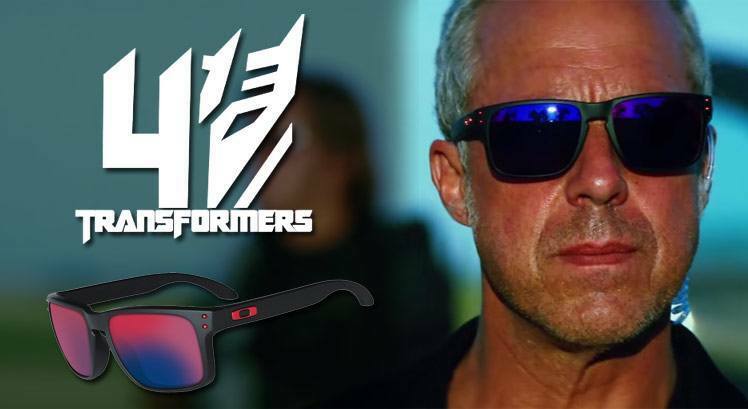 So yes, Michael “I like to blow sh*t up” Bay is back with the 4th installment of Transformers, starring Mark Wahlberg, Stanley Tucci, and Nicola Peltz, and it’s guaranteed to be off the wall with regards to special effects and destruction! Titus Welliver (I just remember this guy from Lost… god what a waste of time that was, they were dead all this time?!? anyway, I digress…), who stars as Savoy, the leader of the agents hired by Attinger, is pictured in the trailer (at 1m 07) wearing a fantastic pair of Oakley Holbrook sunglasses in Matte Black with Red Iridium lenses. Check out the latest Transformers trailer below. Hello , I wonder the glasses model that actor Jack Reynor uses in the film. Anybody know?